Updated 8th December 2016 with a 4GB GTX 970 replacing the 2GB GTX 960 from 7th November 2015. Further details below. This is the first computer I've built with all-new components, the second after last year's salvaged-parts Practise Cube. For the last six years I've used a Core 2 Duo 13" MacBook Pro and it's served me well. However, when I looked at the currently available Macs, I was interested to find that none of them appealed to me. I've been using Apple laptops since 2001, but none of their desktop machines seemed as attractive as the idea of assembling my own. Having made that decision, the parts selection was conveniently narrowed down by my desire to continue using Mac OS X. Windows 10 is fine for launching Steam and playing GTA V, but for actual work I've got 15 years of habits and workflows I'm in no hurry to change. tonymacx86.com continues to recommend Haswell motherboards as Skylake support is still under development. Looking at their H97 suggestions however, it seemed likely that Gigabyte's H170N would be just as compatible as the H97N, so I decided to use the latest chipset, processor and memory, to count on Mac OS X support coming sooner rather than later. And then a guide to installing "El Capitan on the Skylake H170N-WIFI" was published just four days later, it's turned out very well for me so far. This computer serves all my work needs in Mac OS X, and all my gaming desires when I boot into Windows. It is small and quiet and cute, both fun to look at and tinker with. 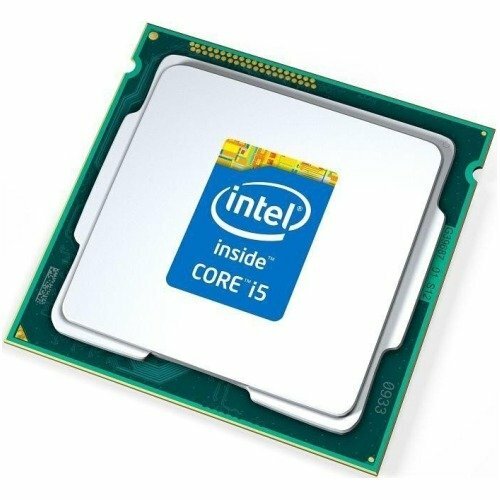 CPU: Intel Core i5-6500 3.2GHz Quad-Core OEM/Tray Processor. One reason I waited for Skylake was its standard TDP of 65 Watts for the quad core i5s, the equivalent Haswell CPUs all being 84 Watts. Practise Cube showed me the difficulty of trying to cool a high TDP part in a smaller machine, so I wanted to go as low in this regard as possible, while maintaining high performance. The 35 Watt 6500T was interesting, as was the slightly cheaper 6400, but in both cases the clock speed was considerably lower (2.5GHz and 2.7GHz respectively). Conversely, the 6600 is only 100MHz faster, I didn't consider it worth the extra cost, and as I wanted to maintain low temperatures and power draw, I was not interested in the 91 Watt 6600K. I went with the tray version both because I knew I wouldn't use Intel's included cooler and because it was in stock while the regular version was not. An item being out-of-stock decided some of my other component choices, I'll note the alternatives I considered where appropriate. CPU COOLER: Noctua NH-L9x65. One of the last decisions I made was the computer case itself, so while the Raijintek Metis supports CPU coolers up to 160mm in height, I was originally considering re-using the Cooltek C2 or maybe going with something else that had just as low CPU cooler clearance. The NH-L9x65 is only 65mm high including the fan, yet it has a much smaller footprint than the Gelid cooler I used before. Said 131x123mm Gelid cooler caused problems when I added a GTX 960 as its heat pipes pushed against the graphics card. When I rotated it 180° it then covered the motherboard screws and CPU fan header, it needed to be removed to access both those and the RAM too. The NH-L9x65 is only 95x95mm and cools the 65 Watt i5-6500 with ease. 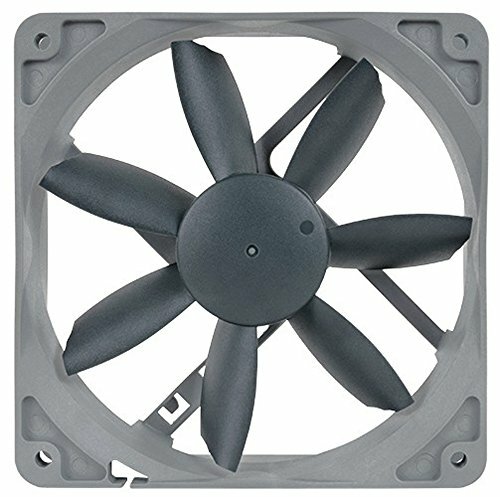 One change I made purely for aesthetic purposes was to replace the included NF-A9x14 with a grey NF-B9 redux fan. It is 11mm thicker but I prefer the colour scheme and it even performs slightly better. I also prefer the appearance of a top-down cooler compared to a tower one, I think it looks more interesting through the case's window as you can more clearly see the fan spinning. 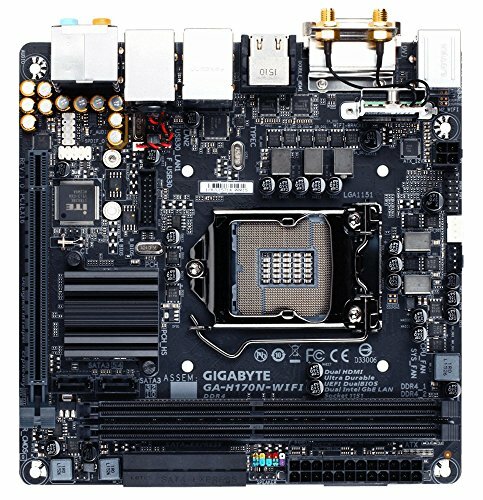 MOTHERBOARD: Gigabyte GA-H170N-WIFI. Because I didn't choose an overclockable "K" CPU, I saw no need to get a Z170 motherboard. Even though some Z170 boards now allow overclocking of non-K CPUs, noise and thermals still make the H170N the right choice for me. As I had hoped, it appears to be nearly fully compatible with Mac OS X (only one of its two Ethernet ports doesn't work) and I appreciate the all-black design. To be able to control audio volume over DisplayPort in Windows, I uninstalled the Realtek audio drivers. To do the same in Mac OS X, I use Soundflower. One criticism I have is the location of the headers for USB 3.0, USB 2.0 and HD Audio. Not only do they necessitate the use of a low footprint CPU cooler, they also mean you have an extra bundle of cables to deal with. I'd prefer they be located along the edge with the SATA ports but understand there's limited space to work with; both the CMOS battery and WiFi card are mounted vertically. MEMORY: Crucial 16GB (2 x 8GB) DDR4-2133. Since Skylake doesn't support quad channel RAM I felt even less compunction going with a Mini-ITX motherboard over a Micro-ATX one, it being H170 means nothing faster than 2133MHz is necessary. I've used Crucial RAM for many years without incident, these also happened to be available for a good price. The out-of-stock contender was the G.Skill NT Series, I considered them purely for their black PCBs vs. the Crucial green. However, such little splashes of colour as this and the SATA power extensions look pleasing to me against the mostly monochrome selection of other parts. STORAGE (WINDOWS): Crucial MX200 500GB M.2-2260 SSD. For Windows I wanted enough space to store the games I'm currently playing without having to shuffle them among drives. I didn't feel the need to spend twice as much for a PCIe SSD, though that is of course an option for improved performance in the future. Not having handled an M.2 SSD before, I was truly surprised by how tiny it was when I took it out of the box. Its out-of-stock contender was the Samsung 850 EVO. 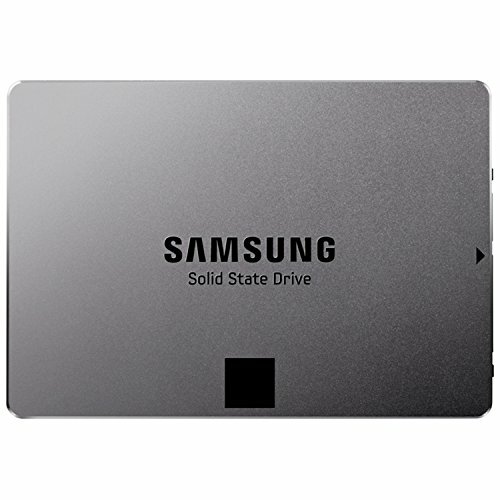 STORAGE (MAC): Samsung 840 EVO 1TB 2.5" SSD. I've been using this 1TB SSD in my laptop for the last two years, it continues its role as a Mac OS X boot drive and the location for all my personal files. Using the same SSD on a twice as fast bus has been a noticeable improvement. One thing lacking compared to my old laptop is the ability to use Apple's whole-drive encryption. For that reason, I've partitioned it so that an unencrypted 100GB partition is for the OS and applications, the encrypted 900GB that remains is for my User folder. I placed this drive nearer to the motherboard as its 7mm height does not interfere with the fan headers in the same way a 9.5mm high HDD does. This SSD obviously didn't cost me 0€ but as I bought it so long ago I didn't enter its price here. The modern equivalent costs ~300€. STORAGE (MEDIA): Seagate Momentus SpinPoint 2TB 2.5" 5400RPM HDD. Because the Windows SSD has BitLocker enabled and because the Mac SSD is formatted with HFS+, neither operating system can see the other's drive. I prefer this arrangement as it means one cannot mess up the other. I intended to format this drive as ExFAT, to use it for the media I wanted to be accessible in both operating systems. Unfortunately, Mac OS X's ExFAT handling is very buggy, so for now it's HFS+ and therefore not accessible to Windows. STORAGE (CABLES): Akasa PROSLIM AK-CBSA05-30BK 30cm and AK-CBSA05-50BK 50cm Black SATA Data Cables. These are thin and flexible, they seemed necessary in such a tiny case. The 30cm cable connects the 2.5" Mac SSD that's closest to the motherboard, the 50cm one goes all around the power supply to the right side of the case and connects the 2.5" Media HDD. Routing the cables this way allows me to hide them as much as possible. VIDEO CARD: KFA2 GeForce GTX 970 4GB. I originally put the 2GB GTX 960 from Practise Cube v2 inside RedToast, but in December 2016 I swapped it out for a 4GB GTX 970. It's comparable to a GTX 1060 in performance and is slightly cheaper at 245€. 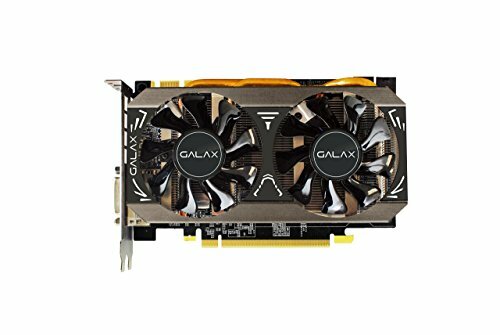 Nvidia's lack of Mac OS X support for their 10 Series cards is why I decided to buy this instead of the 435€ GTX 1070 I'd been saving towards. In terms of GTA V performance, with the GTX 960 I'd capped the frame rate at 30fps because the constant fluctuating between 35fps and 55fps was distracting to me. With the GTX 970 I can now play GTA V at 2560x1440 with VSync turned on, the only time the frame rate dips below 60fps is when I frolic in the glorious grass. CASE: RAIJINTEK Metis (Red). This was delightful to work with as it can be completely disassembled, I had great fun working out where to route the cables. I originally planned to get the non-windowed version but when that was 20€ more I decided to try my hand at lighting things up. One major criticism I have is regarding the lip that protrudes along the bottom edge of the expansion slot, just below where the graphics card sticks out the back of the case. When combined with the GTX 970, this lip makes the HDMI port completely inaccessible, at least using the cables I have to hand. I connect my only monitor via DisplayPort with no problem, but this is something to keep in mind when choosing which graphics card to use with this case. CASE (LED LIGHTING): BitFenix Alchemy Connect 120mm White LED Strips. Because the side panel is made of aluminium, I used these rather than their magnetic successors. They were easy to apply around the window, and they can be daisy-chained together, only one Molex port is required. One strip goes along the bottom edge of the window and the other goes along the edge closest to the front of the case, they light things up brightly and evenly. CASE (USB 2.0 CABLE): Delock 20cm USB 2.0 Pin Header to Type-A Female Connector. There are two USB 3.0 ports at the front of the case's top panel, and the cable that's used to connect those to the motherboard includes a USB 2.0 connector as well. I cut that off as it was unnecessarily dangly, and then used this little cable to connect the wireless dongle for my Xbox 360 controller, so that I could keep it inside the case instead of it hanging off the back. Maybe because of the big plastic window, or maybe because the computer sits just two feet away from me on the desk, but the Xbox controller has worked without incident, my concerns of Faraday cage interference were proven exaggerated. CASE (CABLE TIES): 100 Black 10cm Cable Ties. I've used ~80 of these so far, so many times positioning and snipping and repositioning and more snipping. The way I was able to combine the power supply extension cable, the cables for USB 3.0, USB 2.0 and HD Audio, the Xbox 360 dongle cable and the PCI-E cable into one big "spine", up along the top of the case, is what allows me to make nearly all the cables not visible through the window. 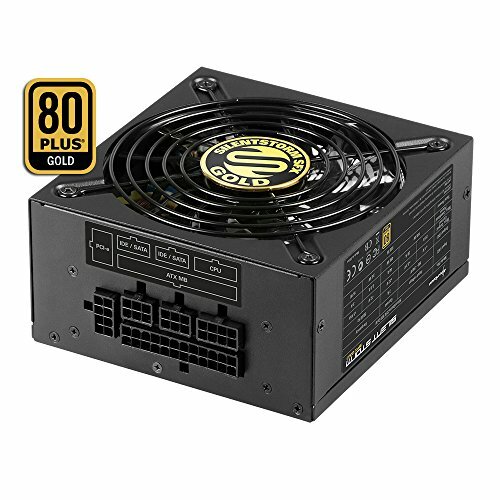 POWER SUPPLY: Sharkoon SilentStorm 500W 80+ Gold Certified Fully-Modular SFX-L. The SilverStone SX500-LG was my first choice as I had read good reviews. Unfortunately for me, while completely silent at idle and pleasantly humming under load, it would make a distracting and unpleasant clacking sound when somewhere in between. This "Sharkoon" model appears to be almost identical other than its fan spins all the time, there's no ramping or clicking. It's quiet and because of how I'm cooling the case, with cool air being drawn in at the back, I prefer this running all the time to act as the exhaust. Being slightly smaller in all dimensions than a regular ATX power supply, this also provided me with space in which to manage cables; most of them lie between the power supply and the left and front panels of the case, as do the SATA power extensions that were also necessary. The included modular cables are all black, flat and ribbon style. This allowed me to fold and route them in interesting ways, both beneath the motherboard and around the power supply itself. It also allowed me to peel them apart, that only six of the eight PCI-E cables need to go to the graphics card and only four of the eight ATX 12V cables need to go underneath the motherboard. I did the same with the front panel connectors too, peeling away the LED status cables as I only wanted to use the two necessary for the power button. The fan grille came with its shiny gold logo the wrong way round for my purposes, so I flipped it 180º and now you can read "SilentStorm SFX Gold" without turning the case (or your head) upside down. POWER SUPPLY (SATA CABLES): Phobya 30cm SATA Power Extension Cables. The SATA cables that come with the power supply work fine with drives mounted in a traditional drive cage, but with the two 2.5" drives in my machine being mounted on the "floor", there was not enough clearance to plug them in. These "Phobya" extensions are routed similarly to the SATA data cables, going either side of the power supply. On Amazon they looked all black, only when I received them did I realise they were actually colourful cables covered by a black mesh. As I wrote earlier, because they are just a tiny bit of colour, I think I will keep using them. If I ever change my mind I can get these NZXT SATA Power extensions instead. POWER SUPPLY (POWER CABLE): InLine C13 Left-Angled 1.8m Black Power Cable. This was bought solely for aesthetic purposes; the cable that comes with the power supply functions entirely properly, but it sticks out too far from the back of the case. This Left-Angled cable sticks out much less, the cable goes straight down to the desk instead of jutting out into space. WIRELESS NETWORK ADAPTER: Broadcom BCM94352Z 802.11a/b/g/n/ac M.2 (E). The Gigabyte motherboard includes WiFi via an Intel M.2 (E) card, but that card is not compatible with Mac OS X. As I need WiFi, I replaced it with this Broadcom card, it also provides more reliable Bluetooth than the Intel one did. To get to the tiny screw that secures the card in place I did have to remove the CPU cooler, so if you know you want to change the card too, make sure to do so before installing that. CASE FAN: Noctua NF-S12B redux-1200 PWM. The case comes with a black 120mm fan, it's visible in some of my photos, but at one point I thought it was broken, there were scary grinding noises and the whole machine was shaking. I later worked out this was caused by a rogue sticker blocking one of the fans on the graphics card, but before that I blamed the stock fan and so bought this one to replace it. I appreciate both the performance and the looks of Noctua's redux series, so I got this and the NF-B9 at the same time, that they would match. At idle this fan span at ~800 RPM, which I found a little too loud. Changing the speed setting from "Normal" to "Silent" in the motherboard's UEFI reduced it to ~650 RPM, which is much quieter. Under load it reaches ~800 RPM but by that point the GPU fans are at ~2000 RPM, they drown everything else out. 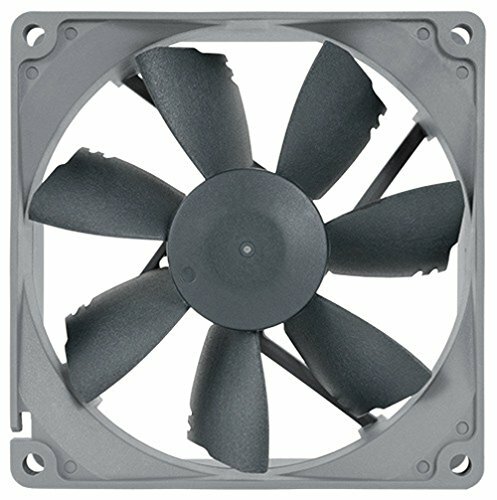 CASE FAN (FAN FILTER): SilverStone SST-FF122B. To both reduce dust and to provide more effective cooling, I flipped the 120mm fan from being an exhaust to an intake. Cool air is drawn in the back, flows over and through the CPU cooler, maybe reaches the graphics card, and then warm air is pushed out by the PSU fan, it exits underneath the case. This dust filter sticks magnetically to the steel back of the case, it hopefully prevents dust being sucked in by the fan, and then positive pressure prevents dust being drawn through the other holes and gaps in the case. 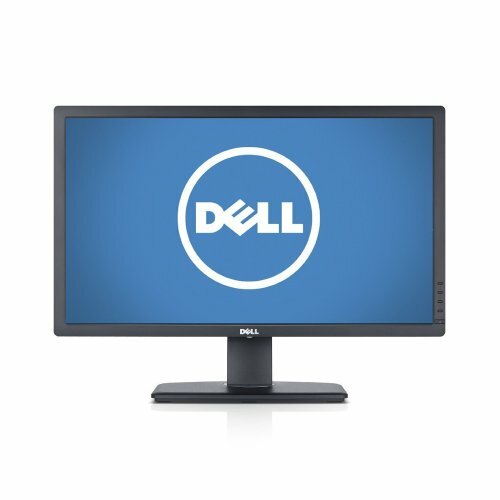 MONITOR: Dell U2713HM 27". This 2560x1440 60Hz IPS monitor is quite nice. I use Windows 10 scaled at 150% and Mac OS X in 1440x810 HiDPI mode. 1440x810 is a new development for me as with my old laptop I was using 1280x720 HiDPI. While 1280x720 HiDPI is simpler mathematically, and I'm used to 1280 horizontal pixels, 720 vertically was always a little annoying. I've also configured 1600x900 HiDPI for when I need a little more space, but 1440x810 is proving to be the best balance for me so far, it's a subtle upgrade from the 1280x800 laptop displays I've been using for the last ten years. As for the price, I bought this a few years ago too, it probably wouldn't make much sense to buy this model today. MONITOR (CABLE): ASSMANN 2m DisplayPort Cable. I needed a DisplayPort cable as the one I had for my laptop has a Mini DisplayPort connection on one end. This one was named ASSMANN, it even says ASSMANN on the bag it came in, though sadly it doesn't say ASSMANN on the cable itself. It was also reasonably priced and works well, but ASSMANN is why I chose it. 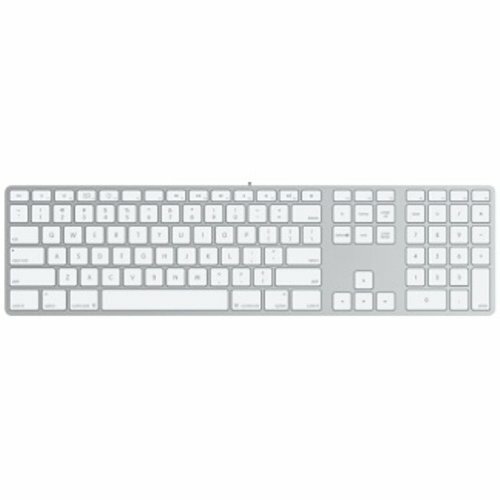 KEYBOARD: Apple Keyboard with Numeric Keypad. After 15 years with the same keyboard layout I'm keeping things really consistent. This was a Christmas present, they cost 59€. The new Magic Keyboard has the benefit of operating as both a USB and a Bluetooth keyboard, so it can be used for changing UEFI settings unlike a regular Bluetooth keyboard. However, the lack of a number pad and the twice-as-high price is why I wanted this wired one. It also has a USB port on either side, which I use for connecting a mouse. 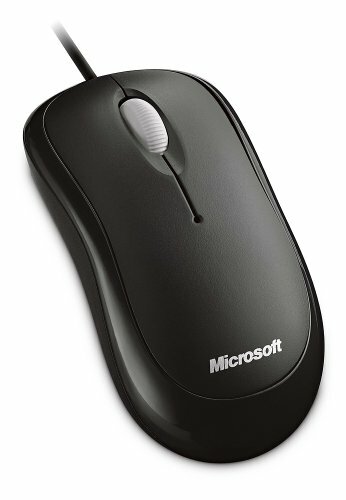 MOUSE: Microsoft Basic Optical Mouse 2.0. Another Christmas present, this mouse weighs little and has a long cable. So I opened it up, jammed nearly all the cable inside, and now it's less likely to go skittering away, the cable is only 20cm long. I use an Xbox 360 controller to play most games and they complement each other well, with a glossy edge between matte top and sides. I've finished working on RedToast for now, the main upgrade I look forward to is a 4TB PCIe M.2 SSD when those (i) exist and (ii) are reasonably priced. I could also swap the i5-6500 for an i7-7700, install 32GB of RAM instead of 16GB, but neither of those are needed right now. Thank you for reading this, for all your kind comments too. I'm sure the description will come but the pictures are too nice for me to hold off on featuring your build. What he said. Very nice photography. That's quite alright. Thank you for featuring my build, it gave my quite the motivation to get the description finished sooner rather than later. The pictures are outstanding and the form factor is different than the 95% of builds using an atx board in a mid tower. I trusted that OP would deliver on the description as well based on a quick look at the account and I couldn't be happier with the result. I try not to always feature 100000 dollar crazy watercooled builds. They are cool to look at but it is nice to see more average builds with time and effort put into them regularly as well. I'll take "this thing looks like the most basic build" as a compliment, thank you :) I chose RAM without heatsinks, subdued looking fans, a motherboard without a plastic shroud, black cables etc. because I prefer the simpler look. I know that's not what you were driving at, but thank you regardless. The Jib is back. Where have you been? I've never heard that expression before, "potato pics". I take it that "potato" refers to pictures that are brown, grainy, and or muddy (which these pics are not)? Doesn't seem like you've been on PCPP for long. Not saying that these are bad pictures but go look at builds from guys like AION-PC or even other people who don't have small businesses like AION, their pics are great, too! But does it make toast? You said the description was coming... and boy did you go all out! That is a work of literature! Not wrong at all, it looking so cute was one of the main reasons I chose that case. And thank you! Oh no! Next time I post a build I'll make sure to have my text finished first. My own Practise Cube is a little smaller at 12.1 Litres vs. RedToast's 13.4 Litres, but it is pretty dang small. You're not wrong, I think the lower, longer shape is somehow cuter than the taller, shallower C2. Thank you. I really enjoyed reading about your own build, the way you customised the case is very interesting. Looks like both the mod's and the community approve. I would love to see your reasoning for the choices when you get the description up. The build is really clean and is extremely solid, it is impossible not to +1. I have to say that is the best placement of a Xbox 360 wireless adapter that I have ever seen. Thank you. I've added my description and I like having the Xbox dongle there too, it stops it getting in the way around the back. At the moment it's just sitting there so my next step is to buy some velcro tape, that I can attach it more securely. Add a description you did, I think you wrote a book honestly. :P I would agree in staying away from the LGA1151 (skylake) socket for now, there is not a huge benefit for going with it yet. Give it time and the LGA1151 will come in to its own but for now the LGA1150 is the way to go.
? My reasoning went the other way, that I wanted the latest tech, even if the support wasn't quite there yet, as I didn't want to pay nearly the same price for "old" components. Practically speaking I'm sure LGA1150 would have been just as fine for my purposes as LGA1151, I went with Skylake simply because I could. Sweet build! I did something similar in a mATX case. https://pcpartpicker.com/b/wMQV3C Im super impressed with your cable management! I was considering the U3 too but liked that this was 8.7 Litres smaller. Thank you for noticing the cable management. It took quite some time to get them as tidy as they are, the SFX-L power supply was a big help. THESE ARE SOME OF THE MOST DETAILED PICTURES I HAVE SEEN! Seriously! This is awesome! I really love that case, especially for a mini-itx. +1 For sure! Thank you very much. When I look at other people's builds I really like it when I can make out the details that don't come across in product photos, so that's what I try to do too. +1 for cable management, also awesome job! Thank you, it was very satisfying to get it as tidy as I managed. As a person with a Metis build, I must say that your cable management is absolutely incredible. Very well done, beautiful build. Thank you, it took quite some persistence, I tell you what. The only real "Bwuh?" I had in your build is placing the Microsoft game controller transceiver inside the case (seen in photo #37). Your case is effectively a Faraday cage, preventing (or severely attenuating) any radio frequency radiation from escaping. I think you'll find you'll need to move the pod outside the case for it to work reliably. I had a similar concern but as I wrote in my (now totally there) description, it seems to not be a problem so far. I don't doubt it would have greater range if placed outside the case, but sitting two feet from it as I do there have been no problems that I've noticed. And if any do occur then I can simply take it out of the case, it's not permanently attached. Very nice photos! Great build. Judicious use of cable ties combined with super flexible ribbon cables! And thank you. Nice build, with great pictures to document it! I enjoy the beautifully photographed assembly process. In my mind the photo documentation of the build adds a lot to the quality and aesthetic of this build and really made it stand out. As such I am eager to read the description, once released. You definitely have a great eye for photography, great job on a great looking build! Thank you. When I first put it all together on 7th November I actually took no photos but then I needed to take it apart to make some changes so then figured it was worth it. And so, the description is released now. Very nice build and yeah Manirelli is right nice pics! I took notice that you are into extreme detail. Nothing wrong with that, but you lost my attention before I could really take notice of your accomplishment. I've been using it for gaming since November but now that it's my daily work machine too, I really have grown fond of it. +1 The pics showing the disassembled case were excellent. I appreciate it. The keyboard smooth too. I like it all. You're most welcome. I also appreciate the detailed description. This was also done excellently. I learned something from it. Before your writing, I never thought to peel back the ribbon cable like what you did with the 6+2 pin and 4 pin atx. Thanks again, right back at you, and congratulations on the spot! I'd not seen it anywhere else but after trying to tuck the extra pins away somewhere out of sight it occurred to me to try it. The one down side will be if I want to use these cables with a graphics card or motherboard that requires the extra pins, then it may not look so nice, but I'll worry about that if it comes. This was quite an ingenious solution for smooth cable management. Great job. I will credit you with this idea when I publish my builds. This computer is great! First of all, I approve. Second are some good suggestions for upgrades. I am saving up for my new pc, and it is also a MiniITX build. The only thing is that my motherboard can support 32 Gb of RAM. And it has 4 RAM slots, perfect for upgrading from the 8 Gb I am going to start with. Overall, great PC/Mac! Thank you for the kind words. A Mini-ITX motherboard with four RAM slots though? Is it maybe Micro ATX instead? If you use this here site to plan your build it will obviously warn you of any compatibility issues, but please make sure you buy a case that's large enough. No worries, I'm glad I could help. I also checked to see if the two were compatible. Not so much. As I suggested to beatboxingboy, Raijintek do make a Micro ATX version of this case, so if you like the style you could try that out. Maybe some Powdered Toast Man decals would make up for the lack of heat? Amazing photos and write up. Thank you! Really cool build! I am SO HAPPY to see someone post a build that uses OSX (as I am posting this comment on a mac)! I also love the red on the case! I did not even know there was a red version! Again, great build! Thank you very much, there's Green, Blue and Gold in addition to the more usual Silver and Black as well. I have a friend who may want to build his own PC soon, inspired in no small part by having seen my own, I hope he'll choose one of the more colourful options too. wow! that is a really cool link, thanks for sharing! I also hope your friend will chose one! I would go with a case with more color but I am on a budget and am not as a fan of smaller cases, and I also have to have a dvd player. But if I end up doing a small build in the future, I will for SURE consider those colorful cases! I just looked properly at that page again and there's a white version now too. Not as colourful, but it looks nice. They also make a Micro ATX version that comes in all the same colours and has space for a DVD drive, but not a full ATX version. My friend is also looking to spend much less money than I did, so will most likely go with a regular ATX motherboard, but there's always the chance of a good deal. Good luck with your own future builds. ok, thank you very much! I will look into those cases and see if they will work for me. At idle the 92mm ones are almost silent, both the NF-A9x14 that comes with the cooler and the NF-B9 redux-1600 PWM I replaced it with spin at ~600rpm. Under load they ramp up to ~900-1000rpm and so then they are a little louder but nowhere near as much as the graphics card, which tends to be happening at the same time. The NF-S12B redux-1200 PWM has disappointed me slightly though. While not loud as such, it is the noisiest fan when the system is idle. The 92mm CPU cooler and the 120mm PSU fans are almost silent, the graphics card doesn't even spin at all, but the NF-S12B makes a constant whooshing noise. It's muffled somewhat by the fan filter, when I take that off it's even louder. So anyway, I would recommend the NF-B9 redux-1600 PWM but not the NF-S12B redux-1200 PWM, good luck with your build. My RPM numbers were from memory so I decided to do some testing and have found that changing the case fan setting from "Normal" to "Silent" in my motherboard's UEFI reduced the speed from ~800 RPM at idle to ~650 RPM. It now only gets up to ~800 RPM under full load, at which point the GPU fans kick up to ~2000 RPM and drown everything else out anyway. So at ~650 RPM, the NF-S12B redux-1200 PWM is very quiet, I recommend it. Also, my CPU fan numbers were way off, the NF-B9 redux-1600 PWM actually spins at ~1000 RPM at idle and ~1200 under load. At ~1000 RPM it was inaudible, really impressive, and under load the GPU fans were too loud so I couldn't tell you. Finally, making this change didn't affect the temperatures at all, which is nice. I did make a time-lapse video of Practise Cube but didn't set up my camera this time. If I ever need to fully disassemble RedToast in the future I'll make a video then. Excellent build and helpful research! The thing that keeps holding me back from building a Hakintosh is the display. What are you using? I have a 5K iMac for work, not sure I could not look at anything but a 5K retina display anymore. Any recommendations? I'm using a 27" 2560x1440 Dell U2713HM, I bought it for a good price back in 2013. Because my eyesight is very bad I've been using it until recently in 1280x720 HiDPI, which makes it so that I can read the text without putting my face right next to the screen. 1440x810 HiDPI is what I'm using now, I had to move it a little closer to me on the desk, but I appreciate applications not having their bottoms cropped off anymore. For yourself, are you using the 5K iMac at its native 2560x1440 HiDPI resolution? Or one of the scaled modes? As you probably know, there are very few 5K displays out there. I imagine there won't be more until Thunderbolt 3 is available, as the greater bandwidth of that connection is what's required to drive such a display using only one cable. So if you really can't use anything less than 5K, and especially if you want to run Mac OS X anyway, then I recommend sticking with the iMac. If a 4K screen would be enough for you then there are all kinds of options but as I've not been looking to buy one I wouldn't know which to recommend. If you decide to build a 4K machine anyway I look forward to seeing it here on PCPartPicker, good luck! I really don't know why you didn't name it "redtoaster" instead. I considered "RedToaster" but liked the sound of "RedToast" more. What are the temps on the CPU and GPU? I have seen other reviews of the case and I have heard that it can choke the GPU. I've been playing GTA V for the last few hours and the CPU maxed out at 50ºC, the GPU got as high as 83ºC. The CPU fan was spinning at 1220 RPM, the case fan at 810 RPM, and the GPU fans at 1990 RPM. I also had concerns that it might run too hot (and so throttle) but happily that doesn't seem to be an issue. Keep in mind that I flipped the case fan from being an exhaust to being an intake, I don't have a 3.5" HDD blocking the space above the graphics card. Really nice CPU temp. I'm having the opposite problem, I cut a hole and added a 120 mm fan to cool the GPU which worked like a charm, but my CPU temps are higher than I like. The i3-4170 you've got in Sapphire even uses 11 Watts less than the i5-6500 in RedToast, that's interesting it gets up to 72ºC. I imagine the heat from Sapphire's GPU rises straight up in between the fins of the CPU cooler, but I can't see how else to position it that would make sense. Your build looks very good though, when I saw how you'd flipped it upside down a few months ago I considered doing that myself. The warmer CPU seems a fair price to pay for the cooler GPU, especially if you put a hotter one in there in the future. Do you have acoustic ratings? This is a great build, I have just done something similar, spending months trying to get HDMI audio working. Your PSU looks a far better choice than my non modular so might upgrade. Thanks for sharing. You're welcome and thank you. As for getting HDMI audio to work, I was very lucky in that the tonymacx86 guide was very thorough and included the appropriate SSDT. Have you got it working by now? Or is it proving impossible? Thanks for the reply. Sadly I am still struggling with HDMI Audio. Thats a cracking guide you linked to though, I'm wondering if I should just start from scratch and follow that guide. Metis master race! Your build looks great! Nice looking Build, and an excellent parts break down, was wondering whats the clearance from the CPU cooler to the ram Stick tho? , was thinking of using that cooler in a similar build but with different ram. Thank you very much. The Noctua NH-L9x65 is only 95x95mm, it doesn't overlap the memory slots at all. So you can use RAM sticks with massive heatsinks if you like, I used lower profile Crucial ones because I prefer the simpler style. Beautiful build. Motivated me to use this case in my daughter's little college pc. Thanks. Thanks for the compliment! I've not logged into PCPartPicker for a while, so I saw your blue build some time before reading your comment. I like how you've inverted the layout, that Zalman cooler is especially good looking. Thanks! It was a blast to build and takes up so little space. Thanks, I like it too, though I'm still running El Capitan as I've not taken the time to upgrade to Sierra. Being an old-timer, I've also renamed it "Mac OS X" in the About This Mac window. nice! I prefer macOS Sierra over el capitan, though. nice build! Good question, but you might want to post this on the forums. You would get an answer and most likely a good one! Thank you very much. It's taking me longer than I expected to write the description so I'll update that tomorrow. The reason I made the case's exhaust fan into an intake was based on the results I read in this review at bit-tech.net, in their setup it made a noticeable difference to cool the case this way. I also like that, because it's creating positive pressure inside the case, the amount of dust that will be drawn in is greatly reduced. Thank you very much for the suggestion though, it's possible you're correct. The next time I have RedToast open I'll try flipping the fans around to test performance, when I do so I'll comment back here with my findings. Thank you for putting the effort into making your own alternative parts list. That truly is a more powerful machine for less than I paid, you even include the cost of the monitor and peripherals where I left those out. One big difference in terms of performance though, at least for the things I do, is the lack of an SSD for the boot drive. But if you have the space and desire for overclocking then your build looks pretty good indeed. thank you! you build look nice for office work and editing and my build looks good for gaming and rendering we come from two different computer uses lol glad you like my build it took me 3 days (because it was my first build. Im happy you got featured! Dang, thank you very much, both for the kind words and for adding RedToast to your list. That it's not possible to see past Featured Builds on PCPartPicker is something I hope will be resolved soon, your thread is a fine alternative until then. As for photography I'm not a professional, I mostly just take photos of LEGO models, and then only once or twice a year. I take many many photos and throw away all the blurry ones and then choose the best of what's left and then order those in something resembling a story. I think them being in a logical order makes them more enjoyable too. Finally, I may use these NZXT extensions if I want to remove the colour from next to the hard drives but otherwise I have no plans to. The modular cables that came with the power supply are very thin and flexible, I'm not aware of sleeved cables that have such properties.